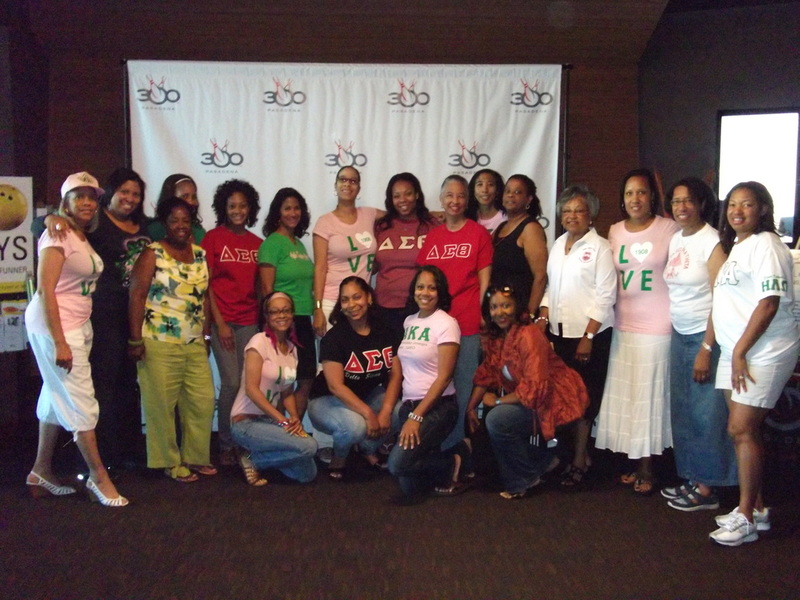 The Ladies of Alpha Kappa Alpha and Delta Sigma Theta met for what would turn out to be an awesome day at the lanes.“All I can say is it was...FUNTASTIC!!!! We participate in a fun ice breaker facilitated by Tangi of Delta Sigma Theta which Stacie Bolden of Alpha Kappa Alpha was the first to win a prize. Go Stacie!! Afterward, we were assigned two bowling lanes. Those who wanted bowl were broken up into 4 AKA to 2 Delta teams. The rest of the members decided to socialize and chitchat. The bowlers played one laugh filled game. Everyone seemed to have a wonderful time and we were walking out of there by 4:30. Nicole Whaley (Delta) and I couldn't have been happier with the turnout.